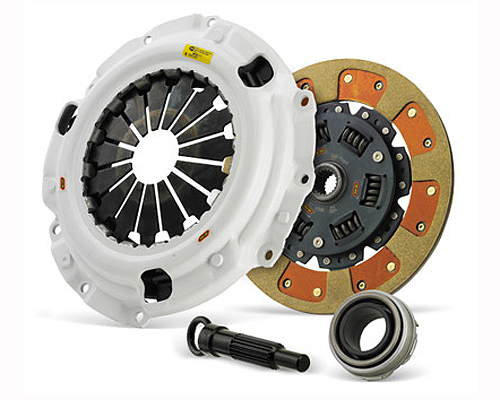 The Clutch Masters FX300 System uses the Power Plus I Pressure Plate with a Steel Back Segmented Kevlar disc. This clutch is designed for the ultimate street enthusiast or weekend racer running a normally aspirated car equipped with cylinder head work and/or hotter cam(s), or with medium-boost turbo or super-charger, or up to 100hp NO2. The FX300 features only slightly increased pedal pressure, long life disc and positive engagement.